My Pipers Girls Boxer Shorts are reimagined and redesigned, for GIRLS. FINALLY. The world's only boxer short for girls without the front fly opening; with a shorter, better fit and additional coverage under skirts and dresses; and one of a kind prints hand drawn by kids. A much needed fun and functional update to the basic cartwheel short of the past. The perfect sensitive solution for seamless underwear, with super soft 100% organic cotton and a comfy elastic waistband. My Pipers Girls Boxers with no fly are durable and made to last because your kiddos will wear them as underwear, overwear, playwear, sleepwear, loungewear, and will wear them EVERYWHERE. Boys love and wear them too! Machine wash cold/dry low/cool iron/made to fade. Girls Boxers Rock! - Hello boxer shorts reimagined for girls! Girls need boxer shorts, but have no need for a front fly opening, so we got rid of it! Our patent pending, one of a kind boxer short design is specifically made for ALL girls! - Say hello to the cartwheel short of the future! Our redesigned girls boxer shorts have a perfect, tailored fit for under skirts and dresses. 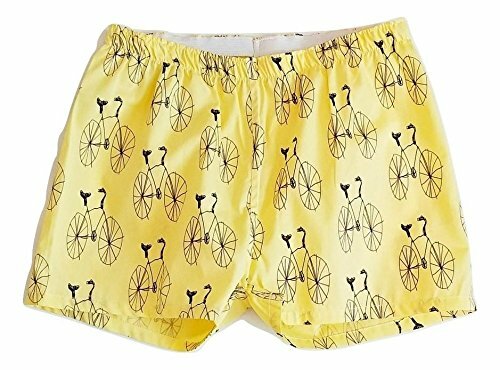 My Pipers boxer shorts for girls provide more coverage, and are a much needed functional update to the cartwheel short of the past. - No more tears! My Pipers boxer shorts for girls solves your underwear challenges! Seamless, with a comfortable, stretchy elastic waistband for an easy fit. Perfect for kids with sensory processing disorder, or for those who just can't stand underwear. - Our unique, colorful prints are 100% hand drawn by children. My Pipers girls boxer shorts support children in their creativity, their journey, their growth, and empowers children to free to be themselves. My Pipers were created by kids for kids. Boys love and wear My Pipers boxers too! - With 100% organic cotton, My Pipers girls boxers are built to last, which is a relief because your kiddos will wear them as underwear, overwear, playwear, sleepwear, loungewear, beachwear, they will wear them EVERYWHERE! Machine wash cold, dry low, cool iron. If you have any questions about this product by My Pipers, contact us by completing and submitting the form below. If you are looking for a specif part number, please include it with your message.